We don't just sell memberships, we build relationships. participate in our broader mission. 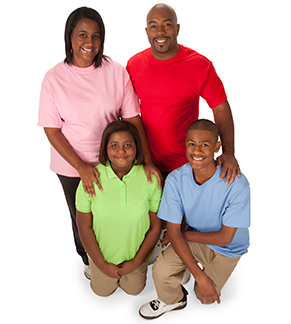 The Adair County Family YMCA is a charitable organization. Generally speaking, most people want to be associated with something good. 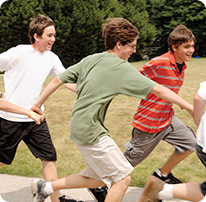 The strength of our organization allows us to serve at-risk children and youth, from the very young in our Child Watch program to teens who need a safe place to go after school. Thousands of community members who walk through our doors and find a value system that infuses caring, honesty, respect, and responsibility in all Y programs and services, reinforcing the same values many instill in their children, their home, and their lives. In today's busy world, it's easy to lose sight of what's important. Your time at the Y is valuable and we work hard to help you achieve that balance between a healthy spirit, mind and body. But this connection doesn't just happen in our classes. The camaraderie that's found in Y centers is refreshing. You feel a sense of belonging and new friendships are formed. This ability to connect with people gives a lift to your spirit just as much as any yoga class. People have many different reasons for choosing the Y, but each one is ultimately fulfilled by our mission to serve. In simplest terms, we are an organization made up of good people who do good things. Who wouldn't want to be a part of that? At the Adair County Family Y, we believe in community, and that everyone, regardless of income deserves the opportunity to experience all that life has to offer. That's why participation in our programs isn't based on the ability to pay full price. Scholarships are available through a simple process. For more details, stop by the Member Services desk, or call 660-665-1922 and speak to Executive Director, Sarah Riffer. Email Sarah at sriffer@adairvmca.orq. If you cannot download the .pdf for any reason, contact us and we will gladly mail you a paper copy of the application. 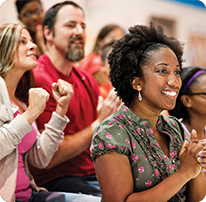 What is the YMCA's Financial Assistance Program? 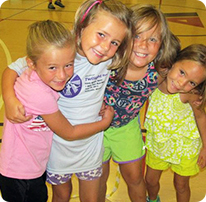 The Adair County Family Y's financial assistance program provides families and children in need with financial support to participate in Y membership and program activities. It is not a discount program. A generous private contributor in our community has been giving to the Strong Kids Campaign in order for every reduced rate to be given. We have a sliding fee scale for membership and program fees - based on total household income and number of dependents, which assists in determining the amount of assistance. The need for financial assistance for membership and program fees is reassessed once a year. Only you, the financial assistance representative and member service staff have knowledge of the financial assistance application. This will depend on how fast you are able to complete the application, gather the requested documents and return them to the Y. After we have received the information, you can expect a call within ten business days. Yes! The Y is a volunteer organization, and we gladly accept the help of children and adults alike! Also, our donors especially appreciate knowing how their contributions are used, so submitting your story about how you have benefited from our Financial Assistance Program would be greatly appreciated. General: Participants must be the age required for the program by the first day of the session or the first practice. Children must be in kindergarten to come to the YMCA after school program. To participate in regular group aerobics, children must be at least 13 years old and accompanied by an adult. Weight Room: Children are not allowed in the fitness area upstairs unless they are 14 years of age and have completed an orientation with a YMCA Staff member. A child must be 12 years old to be at the YMCA without an adult. With a focus on youth development, healthy living and social responsibility Y volunteers give men, women and children of all ages and from all walks of life the resources and support they need to be healthy, confident, connected and secure. Volunteer to teach a class, lead on the board of directors, coach a team, or extend a helping hand to a person wanting to live a healthier lifestyle. The Y is a one of a kind non-profit. Take an active role in strengthening your community. Apply to volunteer today!